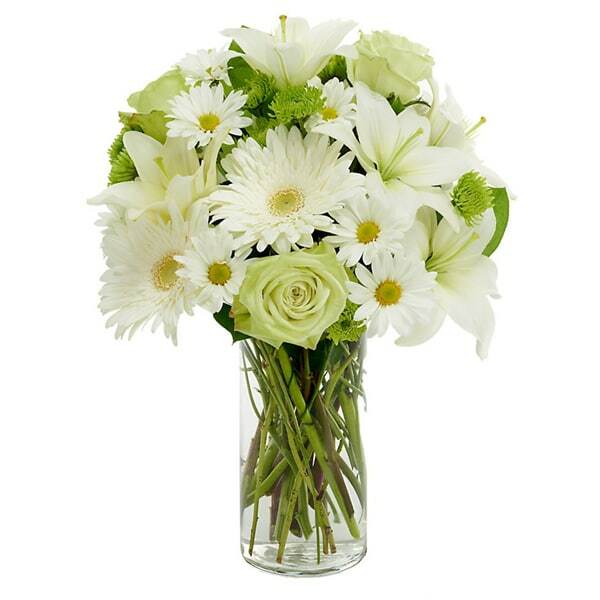 A feeling of tranquility is the underlying emphasis of this graceful arrangement featuring white Asiatic liles, green roses, white gerbera and daisy poms. 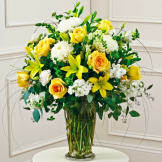 Flowers will be received by a Romero Funeral Homes & Cremation Services (Alamosa)'s staff. Flawless execution of my order and timely delivery made this sensitive expression at a difficult time very easy and quick to accomplish. 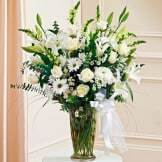 The ability to add a reasonable number of words to personally convey our condolences was the perfect finishing touch. 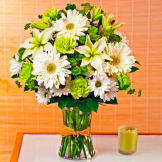 All of our flowers are designed and delivered by hand from a local florist in in Antonito.